Socialist Democrat candidate for Congress Alexandria Ocasio-Cortez is on fire these days. When she opens mouth, she sinks Democrats. Could not ask for a better ambassador for the Democrat Socialists. “I’m the Democratic nominee out here for Congress so I’m going to go to D.C., and we’re going to be fighting Trump,” Ocasio-Cortez told the children in Corona, Queens. “This is what we need to do: when you go back home, you talk to your mom, your dad, your aunt, grandma, sisters, anybody over the age of 18 that can vote — first you need to ask your parents to vote because if they don’t vote, then we can’t kick out Trump,” Ocasio-Cortez said. Our little darling Ocasio-Cortez shouldn’t be telling youngsters to kick people like our President Trump. 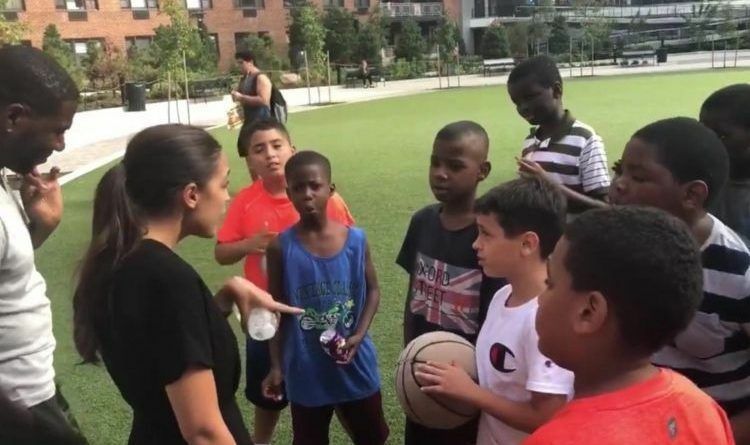 This little darling Ocasio-Cortez could be charged with inciting violence and well as turning these youngsters into juvenile delinquents. This is a typical socialist tactic, get them young and get them to turn on their parents. Better be careful what she asks them to do next! Share this and let’s show to the world how desperate the Democrats have become!